In the Big Daddy era of British wrestling, Daddy, the hero, needed to be fed a number of ugly, brutal looking big villains. As a big man himself at 23 stone, an opponent who was larger than him would mean that Daddy could be in peril (of course, he never was, as he was booked as being invincible, which was one of the factors behind the decline of British wrestling on television). One such opponent was Mal "King Kong" Kirk, a 25 stone hardman from Featherstone in Yorkshire. Originally a coal miner and then a successful rugby league player for Featherstone Rovers, where he played 38 first team games, he turned his hand to professional wrestling. Originally looking slimmer than he did at the height of his fame, and with a full head of hair, as "Mucky" Mal Kirk, his best achievement was a one fall victory over the legendary Mike Marino at the Royal Albert Hall Tournament of 1971. After spending the majority of the mid seventies wrestling in Germany, he returned to the UK, having bulked up to 25 stone and now with a shaved head. 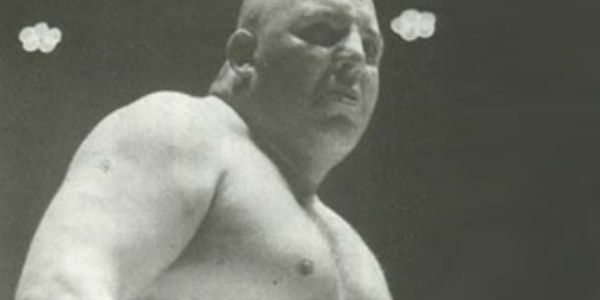 After being initially called Kojak Kirk, he settled on the nickname of King Kong Kirk due to his now immense size. Kirk was a fearsome villain, yet outside of the ring he was a gentle giant and a family man. I vividly recall bumping into him in the gardens next to the Brighton Dome in the mid 1980s when I was a small child. My dad had to encourage me to pluck up the courage to go and speak to him, and he was an absolutely lovely man who obviously loved kids (he had two children of his own). And yet, once the show began and Kirk walked to the ring, such was his professionalism and character work, that within seconds, I had forgotten all about our pleasant meeting hours earlier and was booing him with the rest of the audience! http://www.youtube.com/watch?v=bk_6EEroDYo It was opposite his most famous foe, Big Daddy, that Kirk sadly wrestled his last match. On August 24th 1987, Kirk teamed with King Kendo to face Daddy and his nephew Greg Valentine (not to be confused with the American wrestler with the same name) at the holiday resort of Great Yarmouth, in front of 1500 fans. Daddy delivered his signature Big Splash, a move that never looked particularly devastating due to the way he executed the move, but after the pinfall had been counted, Kirk failed to get up and was turning blue. St John Ambulance staff entered the ring and he was rushed to hospital but was pronounced dead on arrival. It transpired that Kirk had a pre-existing heart condition, but one has to wonder why a 50 year old man who weighed 25 stone (350 lbs) was still wrestling in the first place. The death garnered British wrestling some very bad publicity when Kirk's low wage for the night was revealed to the press by his widow, and Big Daddy wrestled on a show the very next day. Dean Ayass is a well known name to British wrestling fans. A commentator, manager, booker and ring announcer who has been involved in the business since 1993, Dean's insight into the business is second to none.